Wish You a Happy New Year 2009!!! 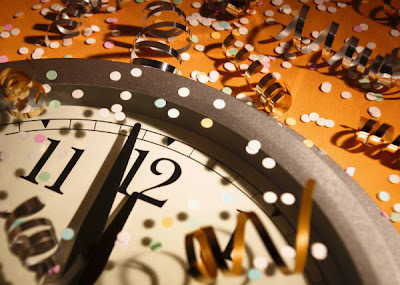 Time has finally come to bid adieu to an eventful year. Let's put behind the past and conquer the future with the knowledge and experiences gained. Let's look forward to more happiness and peace in the forthcoming year and march on! Wish you a Very Happy, Prosperous, Colorful and Healthy New Year 2009!! With less than 10 days to go before we conclude the year 2008 and settle our accounts with the merchant called Time, it makes all the more sense to spend some time to take a retrospective view this year. I'm sure its been an eventful year for most of us. The year 2008 has shown the glimmer side of the world to us in many ways and very tactfully hidden the positive side of things. From an economy perspective, the year woke up to the Startup Boom and slowly this got well consumed by the overpowering economic downturn in the Americas and the the rest of the world (ROW) countries. While the hard work done in the last year paid off for some, some of us were subjected to a trough which has nevertheless made one wiser than ever before. From personal experience and from peoples' shared experience, we should bear in mind that Failures are the Stepping Stones to Success. In my mind, this is a cyclic thing - Without Success, one would not know what is Failure and without Failure, one would not know what the taste of Success really is! Successes and Failures are two sides of a sinusoidal waveform that generates the energy to power the engine called Life. What really matters is how adaptive and resilient we are to this thing called Change. The quicker we react to Change, the faster we move! Remember one thing - Life is a marathon...just run it! There are times when we slow down and there are times when we sprint. Slowing down does not mean that you will lose the race (unlike a short distance run). The slower periods in life are like pit stops in the F1 circuit - As long as you use them wisely (to refuel), you are assured of a strong finish! All I wanted to do in this post was just to tell my readers - You Are A Winner! Never Give Up! No matter what happened in 2008, you have become a wiser person! Use the lessons learnt to strategically plan your next move! 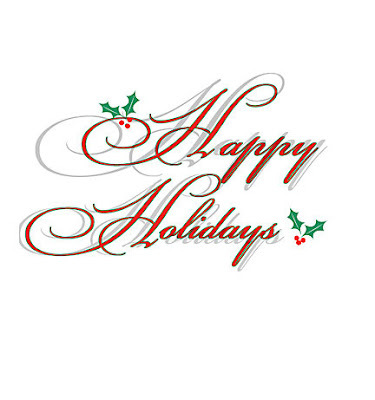 Wish you a Merry Xmas and a Very Happy and Fruitful New Year! As always, Stay Inspired! I'm splitting my First Marathon experiences to three different parts for the sake of readability. Should you want to download the full article in a PDF format, please click here. This is Part 3 of the three part series. You can read Part 2 here. Would love to hear from you! Now my mind was looking forward for something – My parents, sister and my uncle’s family. I was closing towards the 30K point. I saw the drink station on my left and badly wanted some water. That was when I heard someone call out my name – Ah! That was my dad and my uncle with their camera flashing! Couldn’t have asked for a better fuel! I almost forgot to drink water. I told them that I cannot run anymore as my right knee was aching and I didn’t want to lose it completely! I was then told that the rest of them were waiting at a point some 300meters down the course. Not being able to wait seeing them, I started to run faster (as opposed to my earlier decision of walking the rest of the 12.195kms). I saw my sister, mom, aunt and her kids and felt good to hear them cheer me. Wait, I saw someone else too. Was it Meera? Yes, it was indeed her! The feeling of guilt now went off. I was now sure that Meera was in safe hands. What better could happen? I had a burden taken off my mind and a lot of fuel added by seeing all of them. It was from this point that I started to steadily pace up. I really don’t remember how I ran the next 5-6kms. It just went by so smoothly that it felt like I was teleported. It was about 3kilometers before the finish point that I saw this huge showroom of Ferrari cars. Ah, that was just in time. Ferrari is my favorite car brand! Thanks to my super fast imagination, I started to feel a hundred Ferrari’s rev up and rush out of me. This truly helped me to increase my pace once again. There was no looking back from this point on. I kept running at a steady 8-9kmph and it was not long before I could sense and smell the finish line somewhere close by. Thanks to my Garmin Forerunner 305, the sensing became easier. It was just about 500meters to the finish line! The mixed feelings that spun through me felt really different. It was like smelling your favorite food being served hot somewhere close by after days of starvation. It was like seeing your long lost love after a long spell of loneliness. It truly felt great! The final 500meters was the most memorable part of the run. It was like getting closer to the brighter side of a dark tunnel. It was like a big ball of highly positive energy pulling us towards it. It was like a thousand magnets pulling a hairpin. I could feel tremendous energy fill my body from all sides. I could feel the strength of a thousand horses in me. I started to pound the asphalt at an average of 13-14kmph. Before I actually embarked on such a speed, I wanted to get rid of the small mineral water bottle in my hand. I kept it in one cornerstone and started off on my final lap. I could see the finish line at a distance not greater than 200meters. The crowd was cheering and I could see the timer on the finish line from afar. As I got closer I felt like an eagle effortlessly gliding down towards its prey. As I neared the finish line I could hear my name being called out and my completion time being announced. As I crossed the finish line, I felt like a dart flawlessly hitting the center of a dartboard. My eyes were searching. I was turning around to find no one near the finish line. I was a bit unhappy here as I would’ve liked too see people I know soon after I crossed the finish line. I slowly walked down and sat on one of the benches near the medal and tee collection area. I untied my left shoe lace to remove my chip and then walked towards the tent to collect my Finisher Medal. Then I walked down to the tee counter to collect my Finisher Tee. Walking out of the tent I still saw no familiar face there. Where are my parents and sister? Where are my uncle, aunt and the kids? Where are my Chennai Runners friends? I saw no one! In just about 5minutes I saw my sister out of no where and then slowly the rest of my family. It was only then that I realized that my uncle was waiting at the turning (soon after I kept my bottle on the cornerstone and started to pace up) with his Nikon D40 to take some final lap snaps. My dad and sister were apparently one of the spectators who gleefully cheered me when I crossed the finish line. I felt so bad and sad for having thought what I thought earlier – They were all more eager to be with me than I was. I was overwhelmed! I saw Shahid just then, only to realize that he also had a bad day with a 6:40 finish. I changed my running tee and wore my running jerkin from the kit bag my sister was carrying. Slipped out of my running shoe into a pair of sandals from my kit bag and walked towards the foot massage tent. After just about 4-5minutes of wait, I was called in for leg massage. For over 10 minutes my feet and legs enjoyed the most relieving massage they ever had. Though I completed the marathon in 6:47, this has been by far the best run I’ve ever had as I finished really strong (I could’ve run another 10Kms if someone gave me company), had my family by my side and of course completed a full-marathon! I finally did bring my dreams of doing my first marathon in 2008 to fruition. I have proved to myself and the world that NOTHING CAN STOP ME from doing something! I’ve always believed that marathoners have unmatched grit and determination with a NEVER SAY DIE attitude. I’m happy to me a marathoner! God Bless! Ram Viswanathan – He is a man who can make rocks dance. He can possibly motivate even snails to do ultra-marathons. To me, he has been more than a mentor. He was the one who brought me into the world of long distance running, and I could never have dared to dream of a marathon without him. Thanks Ram! Harishankar – This is a man who comes with a great level of patience and enthusiasm. He can run a marathon and give a TV interview in parallel. There were days when he used to give me tips on running during our runs. He was the one who made me run my first long distance run of 28kilometers at a pace of 9kmph (this was close to two years ago). Thanks Hari! My Parents and Sister – I still cannot understand how they are able to put up with my craziness! They have never questioned my craziness (especially when I get out of home in the early morning hours at 2-3am for a run). Their support during the Singapore Marathon just goes beyond words. Thanks Dad, Mom and Sis - You support was really great! My Uncle, Aunt and the kids – They did get up early in the morning and come to the starting point. I still cannot understand – I would’ve slept! More so, they stayed on till I finished the marathon! Amazing support…couldn’t have asked for more! Thanks uncle, aunty, Shashank and Sudarshan (my kid cousins)…you made my day! I'm splitting my First Marathon experiences to three different parts for the sake of readability. Should you want to download the full article in a PDF format, please click here. This is Part 2 of the three part series. You can read Part 1 here. Would love to hear from you! Scratching myself like mad, I headed to the cab and asked him to drive down to the address where my friend Hari was staying with his friend. After about 10minutes lost, Hari’s friend called me, only to realize that I had the wrong address! It took us another 5 minutes to get to the right address and pick up Hari. Together we drove down to a place close to the race start point. It was about 5:05am when we stepped out of the car. We headed to the baggage counter to deposit Hari’s kit and then trotted to the start point. My parents, sister and my uncle’s family had promised to be at the starting point by then, but I didn’t see them! I had to hand over the cell phone to them…that was the plan. It was 5:30am already!! I finally spotted them in the crowd after a series of phone call exchanges, and gave them the cell phone and hurried myself through the thronging crowd to the starting point. 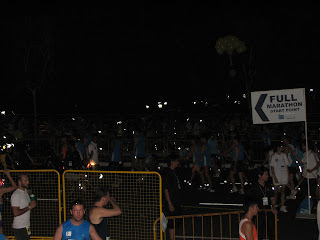 By then time I was at the start point it was 5:40am, and already 10minutes into the marathon! I felt good physically, but was a bit not OK mentally. I had a mix of feelings in me – Happiness, Anxiety, Anger, and Irritation. I was also worried that I couldn’t hook up Ram’s kid daughter Meera to my sister and parents at the starting point due to this confusion. I started to pace at a decent 9kmph and decided to keep myself well hydrated all through the run. The weather was humid as it had rained badly the previous day. The very fact that I started the race 10 minutes late put me off a bit. It was about 6:25am, and I was at the 5K point. I sipped half a glass of water and continued with my run. The entire running experience was a bit new to me as it was so crowded with almost one feet (or even less) of shoulder space. I had to run zigzag till about the 10K point when the crowd started to get scattered. I had missed all my Chennai Runners friends right from the starting point, and I felt a bit lonely. Having someone by your side is always a lot of fun and takes off your attention from what you are doing. Especially during longer runs, a good running buddy helps one to increase pace and stretch the limits. It was slightly past 13K mark when I saw one of the Kenyan runners (was the winner) running in the opposite direction (in the return loop) about 500meters from where we were running. The feeling was like watching Michael Schumacher drive the F1 lanes when we are driving in the roads of Chennai or Bangalore. The runner’s posture, pace, strides, charisma was so astonishing that I started to pace faster than before without my knowledge! I was thoroughly enjoying the run. The water points, the cheering crowd, the school bands playing – every bit of it was so wonderfully organized. There was this point around the 15K point when I started to feel uneasiness in my right knee. I fortunately found a lady offering the pain rub ointment and decided to pause for a bit to get that stuff on both my knees. This is when I saw this young Singaporean gentleman who had stopped for the want of the pain rub ointment. He was telling out loudly “Why did I have to subject myself to this torture? I’m going to just walk the next 5K and stop. My knees can’t take it.” I heard him and thought “He should complete the marathon! I should probably do something…can I? Let’s see…” I started off a casual conversation with him and we went on to talk about my knee injury. I just told him “If I can run with an ITB on one knee and a knee pain in another, you should definitely run as you are just giving up mentally” After about 5-8minutes, we started to resume running and my this gentleman was now doing good, pacing at 8kmph. Now my mind got another doubt “Have I run the right direction? Why is that I did not cross any Champion chip scanner? Why is that there were no cameras to take my pictures?” This was around the 20K point, when I saw a point where they had the scanners on both sides of the running path. After a few meters, there was this camera that was probably one of the cameras taking pictures of runners. Happy to have got past the 21K point, I decided to slow down a little bit and keep going (but not walk). Surprisingly, I never felt an ounce of tiredness! Just the soreness in my right knee was a bit troubling me. I was now running through the ECP (East Coast Park), and it felt like I was in heaven. I saw people walking, jogging, tenting up and lazing around. I saw some shops that rented cycles and rollerblades for those who wanted to enjoy going round on wheels. This was the place I wanted to be! 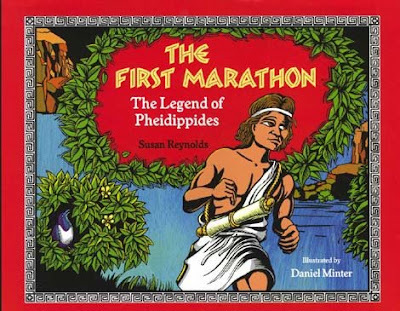 I'm splitting my First Marathon experiences to three different parts for the sake of readability. Should you want to download the full article in a PDF format, please click here. This is Part 1 of the three part series. Would love to hear from you! With less than 1% of the world’s population indulging in running marathons, it’s not too often that one gets to write about marathon experiences. I’m glad to have entered the elite One-Percent Club of long distance runners with the completion of my maiden marathon in Singapore last week. More than just sharing my experiences during the course of the Standard Chartered Singapore Marathon, I have decided to go a little further. In this article I have made an attempt to write about my experiences in the past 4-5 months, to see how it impacted my race day performance, and my life. The year 2008 started with a lot of serious running. I did the Chennai half-marathon in February 10th followed by the Auroville half-marathon in February 17th. I was covering about 40-50kilometers per week in a maintenance phase till about April. With the onset of summer, I had decided to take it easy. I was in New York in June, and the very next day I joined by friend Ravichander for a short 5K run organized by the Memorial Sloan-Kettering Cancer Center (MSKCC) along the Hudson River Parks. This was my first ‘organized’ international run, and I enjoyed it thoroughly. It was when I thought – “If a mere 5K run was organized so well, how much better can a full marathon be?” The very next week I joined my friend and his Asha NYNJ chapter runners at the Central Park, only to end up with a strong determination to do one full marathon by the end of 2008. It was in July that I heard about the registrations for Singapore Marathon being opened, and I was tempted! 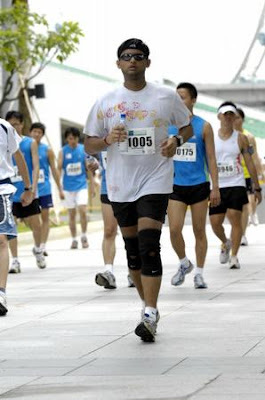 Last year was when I got into running seriously, and for some reason, I missed the Singapore marathon deadline. I didn’t want to make the same mistake again, and immediately registered myself for the full-marathon by paying $80 and completing the registration form. I went to Runners World and got myself a nice 16week training plan. After a week’s training, I was feeling good…really good. Thought I must look forward to completing the Singapore one in less than 4 hours and 30 minutes. This is when the dark clouds started setting in. A spate of frequent travel came my way, and there was this time in August when I was in Pune. It was raining very heavily outside and I didn’t want to compromise on my training either. I decided to head to the gym in the hotel I stayed (Sun ‘N’ Sand) and run on the treadmill. I started trotting at 6kilometers per hour speed and the sheer imagination of completing a marathon made me unknowingly increase the speed all the way to about 14-15kilometers per hour. I was running like a horse for more than 25minutes, and suddenly I landed a little bit heavily on my left leg. To be frank, that did not feel good! I started to reduce the speed of the treadmill until it eventually stopped. The day went past and so did the travel. I was back in Chennai, and decided to do an evening run on one Thursday. After about 3kilometers I felt a little strain near my left knee, and I decided to walk a little bit. Not being able to withstand a snails pace, I resumed my running and there was this point at about 4kilometers when I was forced to a screeching halt! I felt excruciating pain outside my left knee. It feels good to be back in action! Most of you would definitely agree with me on how important the day before the D-day is. Be it exams or interviews, the day before the D-day greatly impacts your final performance. It’s the same case with long distance running – Especially when you got to cover 42.195 kilometers by foot the next day! Running (and completing) a marathon tests both the body and the mind. The course of 42.195 kilometers is a test of grit and determination. A marathon tests one’s character, attitude, strength, weakness and courage. It was December 6th in Singapore. I had spent most of the day shopping (which involved a lot of walking). It was about 9:30pm when I got back home. That was when I realized that since I was sharing the room with my parents and sister, it was good to have all my race-day essentials kept aside so that I can get myself prepared in the restroom the next morning. I had got almost everything ready, and the clock was showing 11pm. I decided to hit the sack as I had to get up the next morning at 3:15am to get ready for my run. For the first time in more than a decade, I felt butterflies in my stomach. I was both excited and anxious! While on one side I could feel the energy across the finish line against my chest and my name being called out with applauses, I feared my knee pain hitting me during the race. In about less than half an hour’s time from when I hit the sack, I suddenly found myself scratching my legs and arms. I thought it was just yet another manifestation of my anxiousness, and forced myself to sleep. But it never happened, and it was already 1am in the morning. I could not take it anymore and decided to walk out into the hall and sleep in the couch. Olympians and Brave Martyrs - Justice Please! 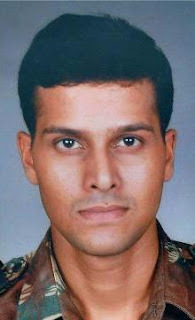 Who is greater - An Olympian or an Indian Army martyr? I'm not trying to put down my own conclusions here, but to put certain facts in black and white and make the world think, realize and elicit public opinion. 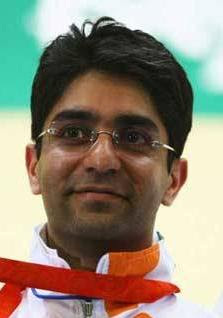 The only difference is that Abhinav Bindra is an Olympian while Major Sandeep Unnikrishnan was with the Indian Army. Infact, the latter did save the lives of many Indians and foreign visitors. When both have done India proud, shouldn't the compensation be 'atleast' comparable? Even, the Kerela Chief Minister insulted this brave martyr. The exact words he said was "If not a Martyr, not even a dog would have visited him". See the ho for more details on this. Shame on you, Mr. Kerela Chief Minister! My Take: I want both Olympic medal winners and brave martyrs of the Indian military forces to be treated equal. The latter's family needs to be compensated well. The awards given to Olympians will encourage more people to get into the sport and take it seriously. Similarly, I want the compensations given to martyrs of Indian military forces to be tantamount to that of the awards given to Olympians. Only then, will more young people in India (and their families) be motivated to serve the Indian military forces. A Fresh look at the Mumbai Saga - Wake Up! With hundreds of people dead and a large number injured, the Mumbai terror attack has been, by far, the most gruesome terror incidents the world has ever faced. With battalions of Police, National Security Guards (NSG), Indian Navy, Indian Airforce and Indian Army fighting in total unity, India's soldiers have been the real saviors of the country. They have made India proud and given the much needed confidence, that a country would need in times of such acute crisis. We can definitely look back and take pride in a lot of achievements in this Mumbai episode. But in my view, this will again lead us to the spiral of failure. Every time India has been terrorized in the recent past, we citizens have given a lot of shoulder space for our politicians to give serpentine sermons and condolence speeches and also speeches that centered around bolstering their political/party profile. Why does this happen Every Single Time? On one side, we call ourselves a democracy and on the other side, we indulge in religious conflicts? Why do we play the blame game? It's time we STOPPED PLAYING THE BLAME GAME! Time has come to TAKE RESPONSIBILITY! We say that India is "my country", but when she is in a problem, without any hesitation we start to point fingers at others! During the elections, political parties woo the citizens with lofty promises. But when it comes to actual D-Day, the same parties start to point fingers at the opposition parties. Even worse, these political parties play the dirty games of using the religion and cast systems to divide the same citizens whom they once wooed for a vote! So, what does this culminate to? We do understand that India is a Democratic Republic, and it's HIGH TIME we started to adhere to the very notion of Democracy. 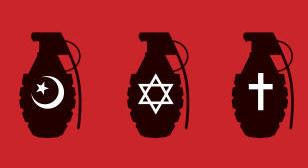 We need to change our outlook towards terrorism and the way of life! Our political system needs to CHANGE the way they handle the country. The government should INCREASE the salary (and other perks) for military forces personnel. The military forces SHOULD be paid NO LESS THAN any IT (Information Technology) personnel. The entire security framework SHOULD BE REDRAWN by taking the advancements in technology and defense tactics into consideration. Lessons from the United States Department of Homeland Security is a good place to start with! Let's take a vow to stay united and fight this ugly monster called Terror. We just need to do our one bit towards protecting our nation in every possible way. Let's STOP BLAMING EACH OTHER and let's NOT ALLOW ANY FORCE TO DIVIDE US BASED ON CAST OR RELIGION! Let's Stay United! Let's Stay Inspired! With just 5 days to go before I hit the asphalt to embark my first full-marathon in Singapore, the anxiety is increasing more than ever. It's been raining in my city for the whole of last week which eventually flooded the roads with atleast knee-deep water. This fluffed my training and now, even worse, I've been struck with cold and wheezing. Generally, any health problem above the neck is something that can't stop me from running. But, its been over three years since I was struck with wheezing, and it feels like a new thing to me now....and....it's below my neck! Will that force me to stop running? Nay....infact, it's now time to add some exceptions to my earlier rule of thumb! You can run if you don't have a problem below the neck. BUT, you can run even if you have a mild respiratory infection if you have a marathon in less than 15 days time. Just don't overstrain! Well, these are the Brick Walls that tests one's commitment. These are the testing moments that measures the body's and mind's limits. So far, I've had these brick walls in the form of knee injury, flooded roads, cold and wheezing. The accompanying side-effect of these problems has been the increase of body weight, which has been the other brick wall which I've managed to fight with some decent success. Overall, everything is looking good - Brick walls are good to have....they help us discover A Better ME. Never say die and never give up! Stay Inspired!